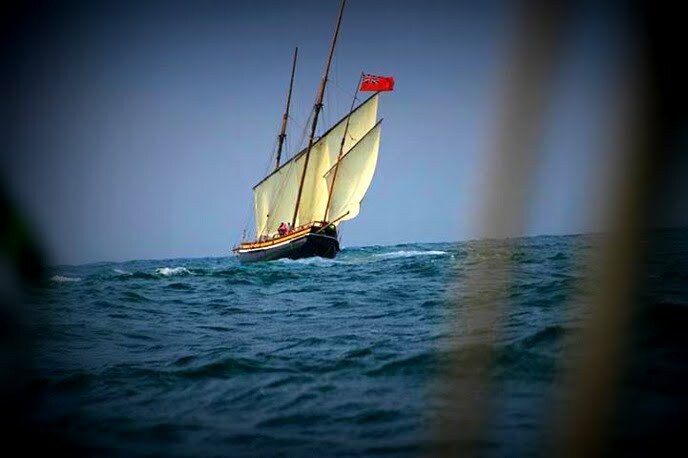 Quba Sails is a pround sponsor of the Lugger 'Grayhound', a faithful replica of a traditional three-masted Lugger originally built in England in 1776. Grayhound represents the realisation of a dream shared by partners Marcus Rowden and Freya Hart. After initially conceiving the idea in 2010, Marcus and Freya began working alongside a team of skilled shipwrights at a shipyard in Millbrook, Cornwall, using age-old shipbuilding methods and responsibly sourced materials to re-create a classic vessel that would be a joy to sail.